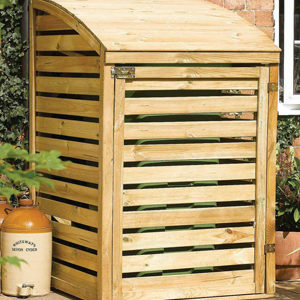 This attractive double storage designed to fit two wheelie bins is made from pressure treated timber to protect against rot. With lifting lids, fitted with chains, and opening front panels, easy access is given to the wheelie bin. 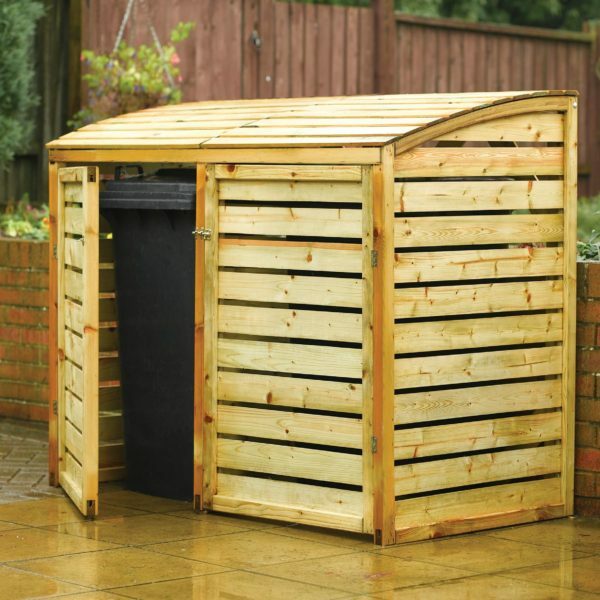 Dimensions: 1.28m h x 1560mm w x 820mm d and able to hold maximum bin size of 10.6m h x 740mm w x 740mm d.